Inspired by dramatic bay views and stately pine forests, Jack Nicklaus created a truly unique golf experience at Bayside, the first Jack Nicklaus Signature Course in the state of Delaware. The accomplishments of Jack Nicklaus as a professional player are legendary, winning a record 18 professional major championship titles and a total of 105 tournaments. Drawing upon his passion for the game and attention to detail as a player, Jack Nicklaus the golf course designer has achieved parallel success over four decades. Golf Digest simply calls him “the world’s leading active designer.” Other accolades include multiple Architect of the Year awards from GolfWorld and earning the Golf Course Superintendents Association of America’s highest honor. Embracing the breathtaking and varied natural environment, Jack Nicklaus built Bayside with the dedication, precision and sheer will that defines him as a golfer. The result? An award-winning course at Bayside built by an award-winning golfer and designer that is as challenging as it is stunningly beautiful. Fast and Easy, book your tee time by CLICKING HERE. Bayside is truly a memorable golf experience offering variety rarely found elsewhere. There’s not a single weak hole here; they’re all tough and handsome. Phenomenal golf course. Very challenging, but very playable, forcing you to make shots. Filled with risk-reward options and various ways to play most holes. Conditions were fantastic, with true, quick greens. Great course that is very challenging with great views. Greens are always very quick and the staff is always very friendly. I have played there several times and will continue to play there when I get the chance. 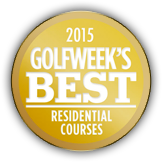 This is likely the best course on the Delmarva Peninsula. The golf course is challenging, but worth the beating it gives you! Excellent conditions. To register, please click HERE. For more information, please direct your questions to the Bayside golf shop. For more information or to sign-up, please contact the golf shop. Limited availability. Demo Day is back! Swing by to view the newest clubs and merchandise with Callaway, Taylor-Made, & Titleist. To make a reservation, please contact the golf shop. Club Demo Day, don’t miss out! Swing by to view the latest clubs with Ping, Mizuno, & XXIO. For more information or to make a reservation, please contact the golf shop. Calling all ladies! Join us on Friday, May 17th for our Annual Ladies’ Golf Group Cocktail Party at The Cove Bar & Grille, and then again on Saturday, May 18th for the Opening Day Scramble. For more information, please contact the golf shop. Swing by the golf shop and grab a Ladies’ Day Brochure, complete with all events and a list of a great group of ladies, both beginners and advanced golfers. This camp is designed to enhance your golf game or get you started on the course! Limited availability. Contact the golf shop today! Call NOW! Holiday shotgun starts 8:00am & 2:00pm. Weekly Golf Clinics offered throughout the summer! Each Saturday designated to one aspect of golf. Chipping and putting, golf etiquette, and more! These 1-hour clinics are a great way to enhance your game. Be the next Senior Club Champion! All Premier members over the age of 50 are eligible. Sign-Up today! This event is a 9-hole scramble, 9-hole select drive alternate shot, and 9-hole better ball of partners. Enjoy coffee and a lite breakfast to start the day, awards and lunch to follow play. Carts optional. With our growing group of wonderful ladies, we have scheduled our 2nd Annual Ladies’ Member-Guest. Grab that favorite gal and enjoy a full day of golf, food, and shopping! For more details, contact the golf shop. A formal invite will be sent with full details in June. Be the next Club Champion! All Premier members are eligible. Sign-Up today! This fun event is for all levels. Come enjoy a family night out on the putting green with glow sticks and more! This annual event is a full 3-days of golf, fun, memories, and food and beverage galore! The formal invite will be sent in early July. The golf course will be closed on Monday, August 19th & Tuesday, August 20th to complete the fall greens aerification. For information, please contact the golf shop. The Bayside golf course and Cove Bar & Grille will be closed all day to host this annual event. This event is invite only! Score keeping is key, be the best of the best to compete in this 10 Man Shootout! Team Crowther vs. Team Gradomski, who’s going to be the winner this year! For more information, please contact the golf shop. Start thinking about your “three” favorite golf clubs because those are the only ones you’ll be using! Optional day of prize pool.